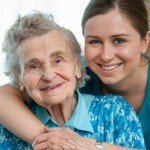 Caring for the elderly with dementia can be difficult at times. We have put a folder together for our staff to readily access information that may assist them in providing quality care for people with dementia. Below you will find all the images and documentation you require to reproduce this folder for your facility and enable your staff to also have ready access to such important information. 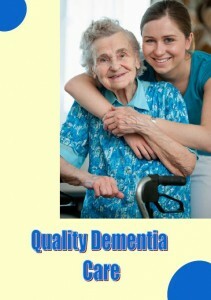 The information contained in this folder is available on our site at Quality Care and Help Sheets. It is also available at http://www.fightdementia.org.au/understanding-dementia/help-sheets-and-update-sheets.aspx from Alzheimer’s Australia. Help Sheets provide advice, common sense approaches and practical strategies on the issues most commonly raised about dementia. Help Sheets have been categorised into sections to address the most commonly raised issues about dementia; following the links to the sections provided will help you in finding the answers to some of your questions. If you would prefer to talk to someone, you can call the National Dementia Helpline on 1800 100 500. Help Sheets in languages other than English can be found under information in other languages section of the Alzheimer’s Australia website. Help sheets for Aboriginal and Torres Strait Islander people can be found on the Aboriginal and Torres Strait Islander Resources section.